WDiff32 from C.Sitte Softwaretechnik is an utility program for the Windows operating system which displays the differences between two text files or between two directories or ZIP archives. 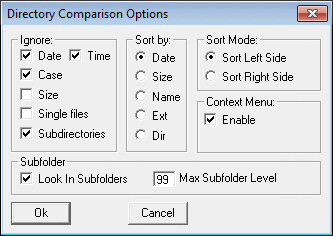 The two text files (or directories) are displayed side by side. Common and different sections are clearly marked with separator lines and different colors. The display window is scrollable in all directions. The middle line which separates the two sides can be moved in either direction to see more of the left or right side. It is also possible to mark areas of lines at one or both sides and to copy these texts into the clipboard for further processing. A marked area at one side can be copied into the corresponding area of the other side. 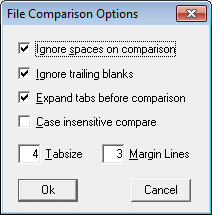 Lines from the clipboard can be pasted over marked areas. There are various formatting and comparison options available.